The LiDAR Module is an optional add-on for Global Mapper, an affordable and easy-to-use GIS application that offers access to an unparalleled variety of spatial datasets. The applications key benefits include the ability to quickly view and process LiDAR point clouds with a billion points or more. 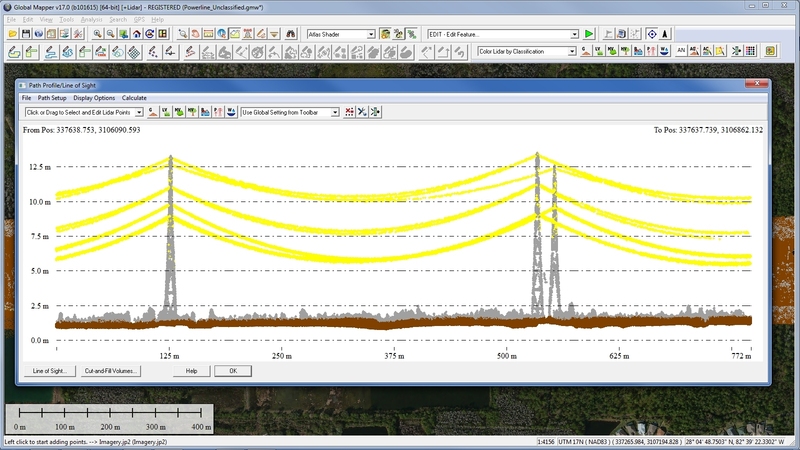 LiDAR analysis has become a widely used technique for generating high-resolution Digital Elevation Models (DEM), including terrain (DTM) and surface models (DSM). 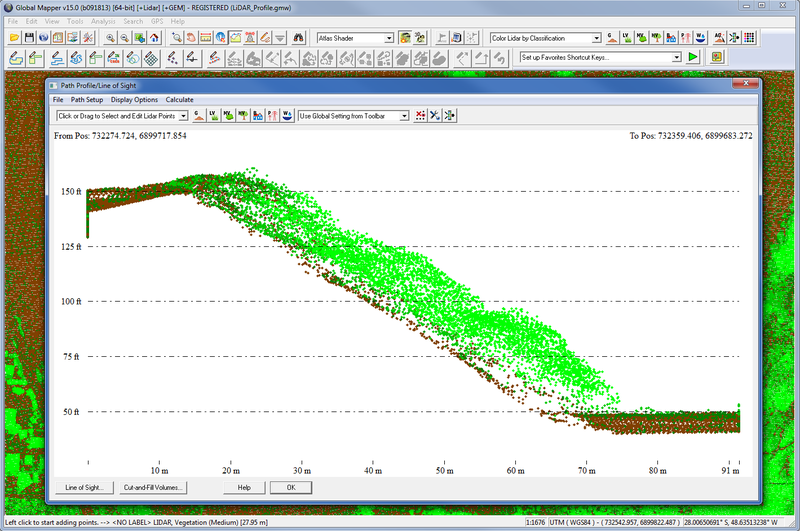 With the LiDAR Module users can post-process LiDAR data using popular techniques such as identifying, reclassifying, filter point clouds by classification and/or return type. The release of version 19 of the LiDAR Module saw the introduction of the groundbreaking Pixels-to-Points tool (Low Cost Photogrammetry Solution) which can Generate Point Cloud from drone imagery. 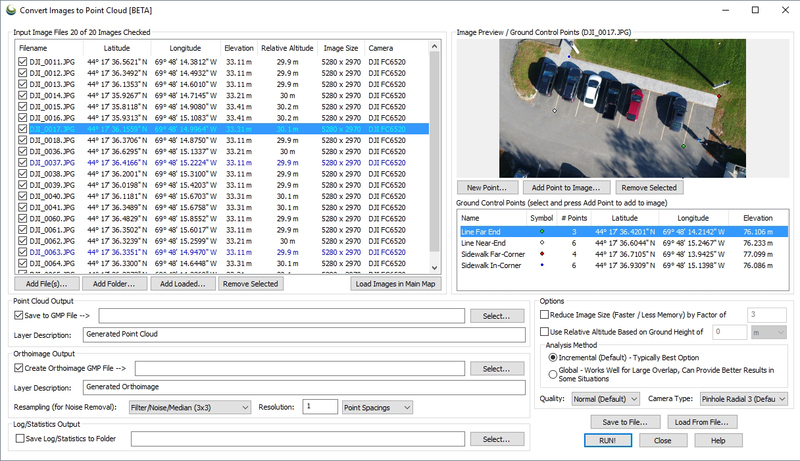 This powerful addition to the Module allows anyone collecting aerial images with embedded geotags, such as drone or UAV operators, drone survey data to create a high-density point cloud, similar to LiDAR data. 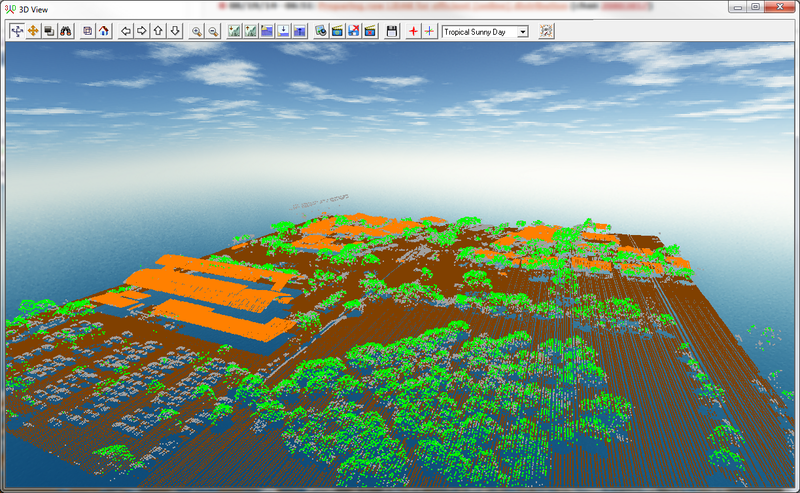 Using the additional functionality of the Module, this point cloud can subsequently be processed to identify and reclassify ground, buildings, and other common classification types and to filter and edit the data as required. 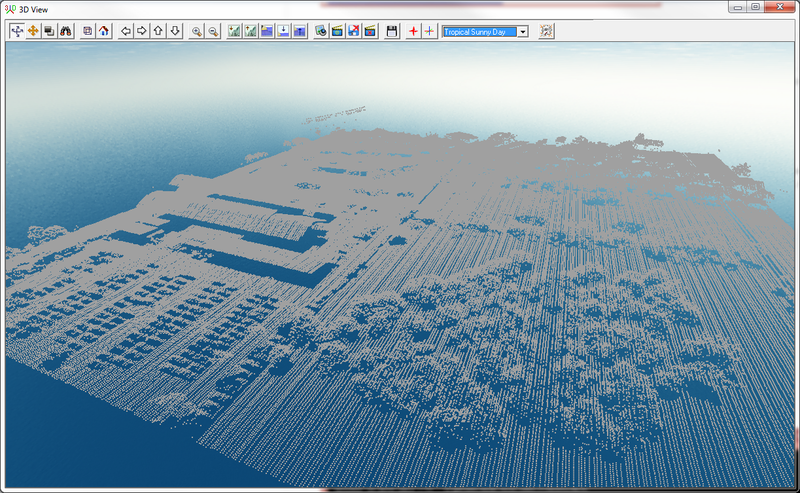 •	Pixels-to-Points - Using an array of overlapping images, such as those collected using a drone, this tool generates a high-density point cloud based on user-selectable parameters.